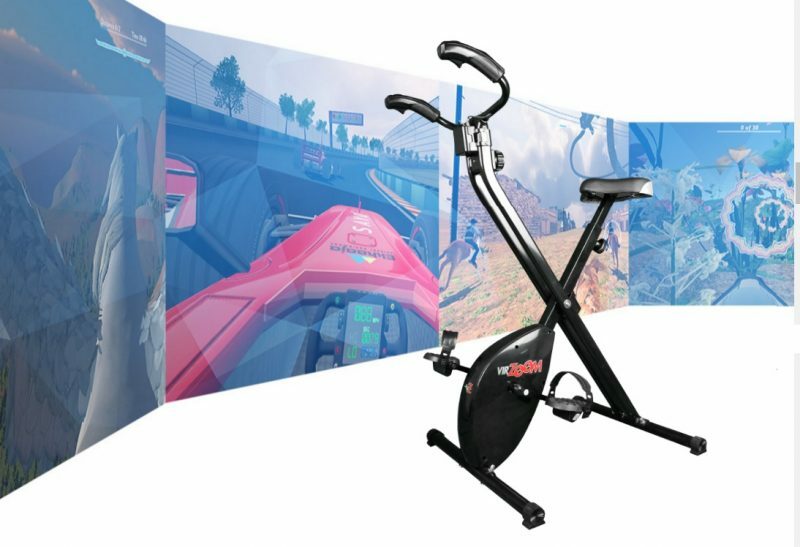 E3 2017: VirZoom makes exercise fun! Virtual Reality is a more than just a fad. It is capable of so many activities such as gaming, therapy, and even exercise. Thanks to VirZoom, you may now have a reason to dust off that exercise bike your aunt lent you, because you’ll be able to play games and burn some calories. By attaching a VR sensor (or in this case, VZ Sensor) to the bike, it will be able to register the pedaling in whatever game is being played through the VR headset. 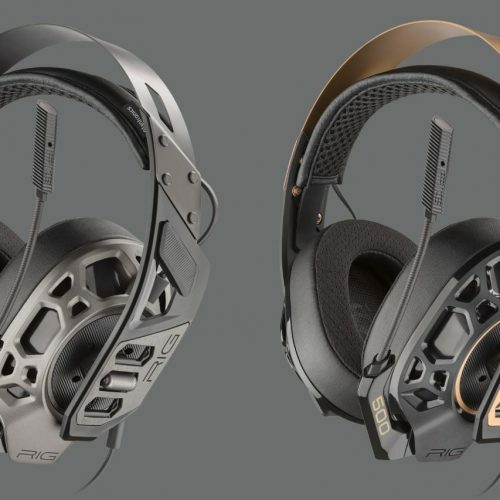 The headset can be anything from a PSVR, Oculus, Vive, even something as inexpensive as Samsung Gear VR which I used. I managed to play two different games at E3 that demonstrated the potential of VirZoom, the first one being a simple bike racer where I tilted my head to turn. The faster I pedaled, the faster I went. Basic physics. The second and final game I played was a tank shooter. Wherever I would look, the tank I was controlling moved that direction by pedaling forward. With the assistance of a controller, I would shoot enemy tanks that were coming my way. Even though these demos were short, I was sold on the concept instantly. The package of the VZ sensor, VR headset, and stationary bike would be expensive altogether. However, the VR exercise concept has a solid foundation that will be built up over the years thanks to VirZoom. I already don’t like cardio so being able to play games while doing it is a tempting offer. The VZ Sensor is up for pre-order for $89 along with the VZ Bike Controller for $399. The Bike Controller comes with buttons on the handlebars for advanced play/exercise sessions. 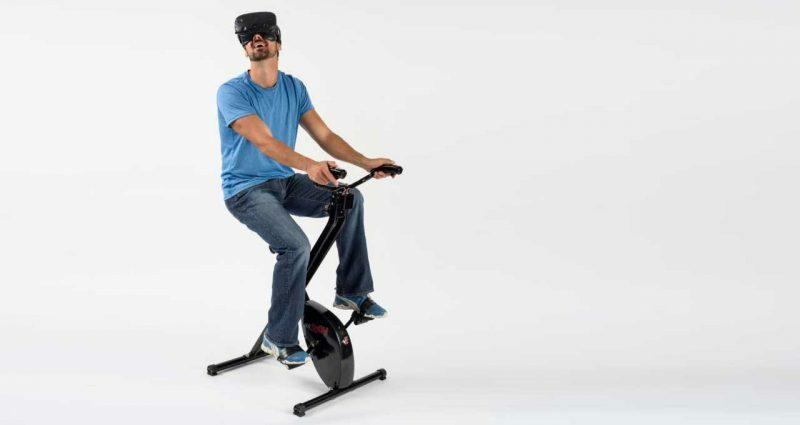 If VR exercise is the future, then sign me up! To find out more about VirZoom, visit VirZoom.com.